Best Chinese Knives: New Original Design Knives on AliExpress and DHGate (Different price ranges) - Updating post! New Original Design Knives on AliExpress and DHGate (Different price ranges) - Updating post! 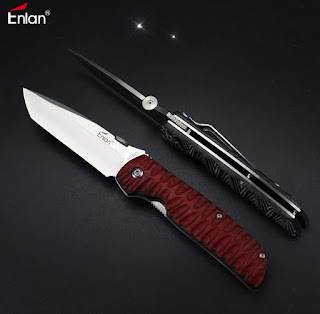 Ok, so I have decided to create a post where I will write about new knives that appear on AliExpress and DHGate and update this post as new knives pop up (follow me on Facebook/Google+ to receive updates). I will also post some pictures and give a few words of information if this will be needed (like info on the logos and locks that might be photoshopped in the pictures), real blade steel, some interesting facts about the knife or the original model, etc. You are also more than invited to give your opinion and ask questions in the comment section. Please notice that some of the locks in the seller's pictures might be edited out to comply with AliExpress knife selling rules, but most of the knives in the lots have fully functioning locks (I will state otherwise). Bear Claw Parrot - New slipjoint on bearings, the design and the concept remind of the Lansky World Legal knife, but couldn't be called a clone IMO. Turen Knives on Ali - Relatively new versatile maker with lots of different products. Bear Claw ST004 Flipper - Stainless Steel handled flipper on bearings. Enlan Knives on Ali - Most of the models are now available on AliExpress as well. Andy A06 Horizon - Semi-Integral knife with a hidden pivot from a great maker. 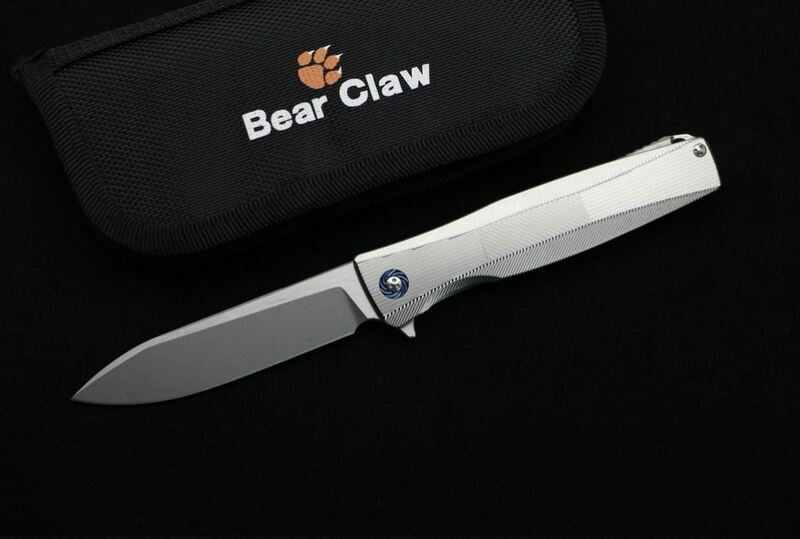 Bear Claw P60 - Very high quality flipper knife with Ti handle and S35VN blade. Is the Bear Claw ST004 an original design? It seems sort of like a Zero Tolerance knife. I'm glad to hear about the Enlans as well. I wanted the M013 but had a hard time finding it for sale and at a decent price. The overall shape looks like it could be influenced by Sinkevich's designs, but I haven't seen a knife that would be 1:1.